Some older versions are available as separate Isos for different devices. Take whatever version you want. You can either boot an Android-x86 live system, or install it to the virtual disk. When you want to run the Live CD (No installation), just use the first option. When you want to install Android, select "Installation"
Select Yes, until the installation has finished. 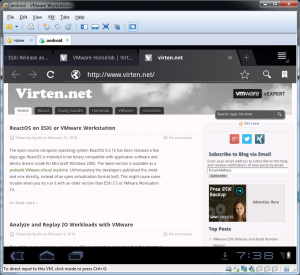 Your Android Virtual Machine is now ready.